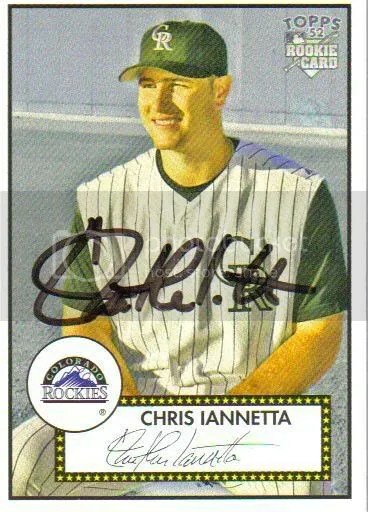 Chris Iannetta has accepted an invitation to play for Team USA in the upcoming World Baseball Classic. That must be quite an honor! Way to go Chris. Here’s a pic of Mom helping me get my program signed by Chris last season. I couldn’t think of a more deserving player. He’s a solid catcher, had a good year at the plate and treats the fans really well. He’ll be playing alongside players like Derek Jeter, Chipper Jones and Jimmy Rollins. Brian Fuentes, who was recently traded from my Rox to the Angels has also accepted an invitation. Brad Hawpe got an invite, but hasn’t made a decision yet.